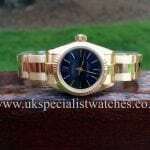 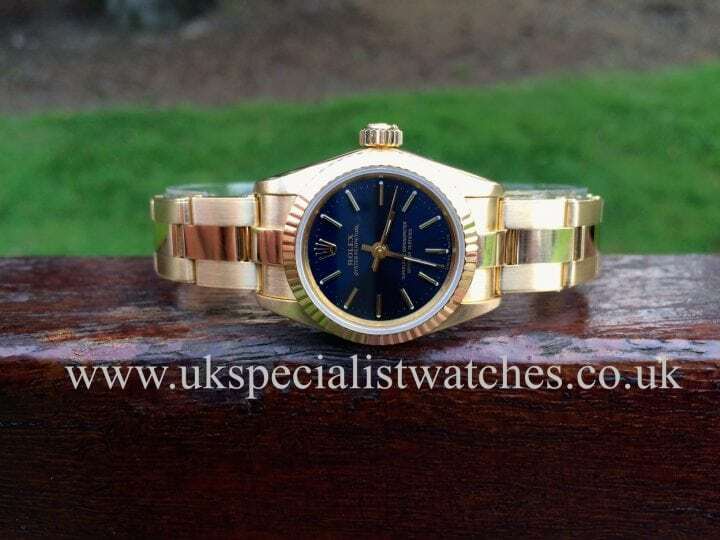 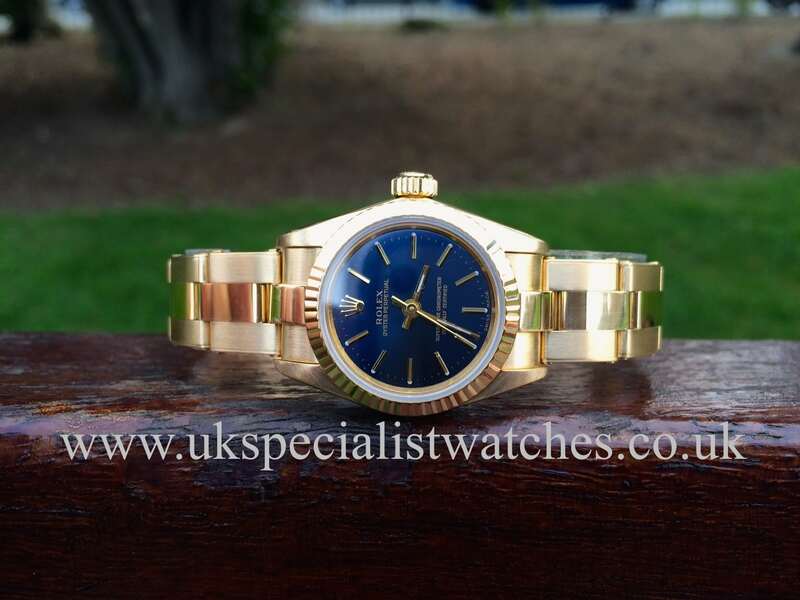 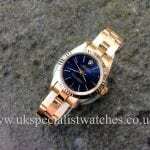 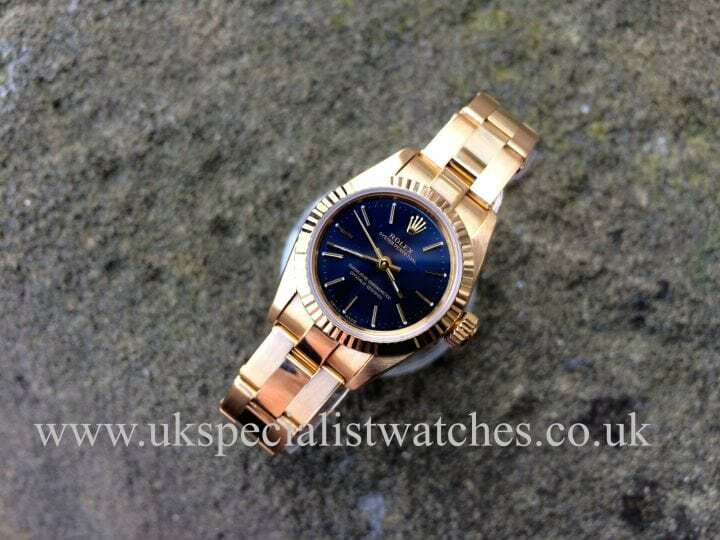 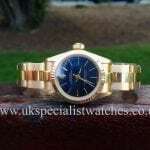 Here we have a classic Ladies Rolex Oyster perpetual in 18ct yellow gold with this beautiful electric Blue dial complimented with a fluted bezel. 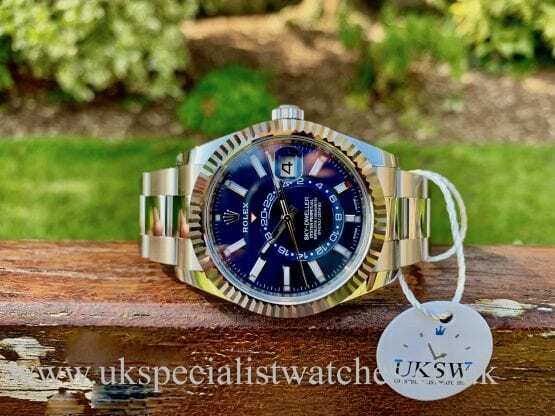 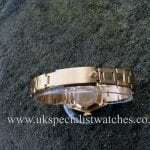 Fitted with the original 18 ct riveted Oyster bracelet and folding Crown clasp, sapphire crystal Glass, automatic movement. 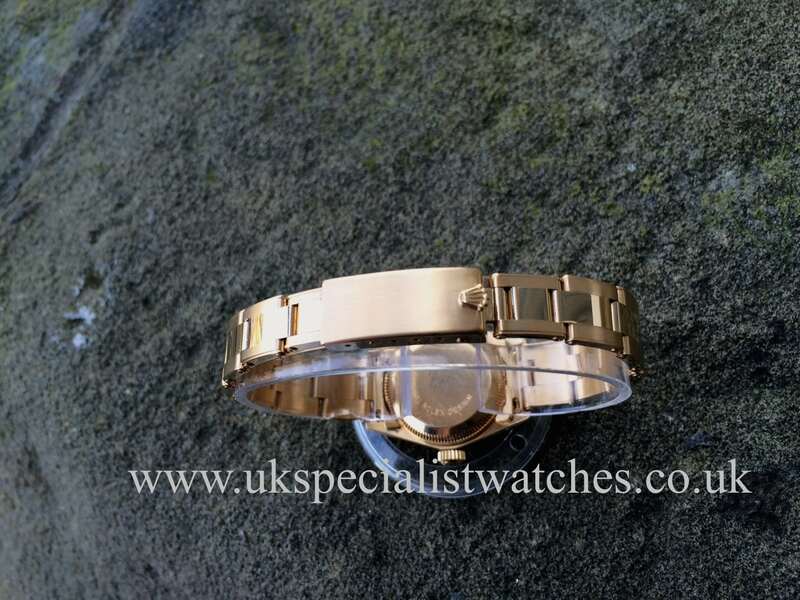 This example is one of the last to be fitted with this Oyster style bracelet and is no longer in production so will probably become very collectable in the near future. 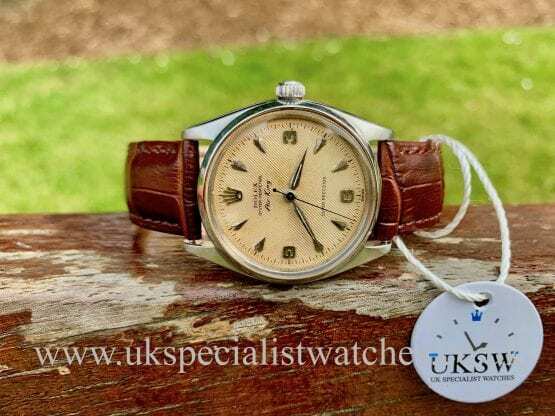 Serial number X979— Dating the watch to 1991 and is in absolutely incredible condition!